“This was going to be a pivotal time for the state." Colleton County High School and Scott’s Branch High School are working to change a “Corridor of Shame” into a “Corridor of Innovation.” Through a U.S. Department of Education Investing in Innovation (i3) grant, each school is vastly improving education in their isolated, economically depressed communities. See how these small-town schools are re-imagining how students learn so that EVERY student graduates with the skills to succeed in college and the workplace. By making learning relevant, students see a purpose for mastering state-required skills and content concepts. 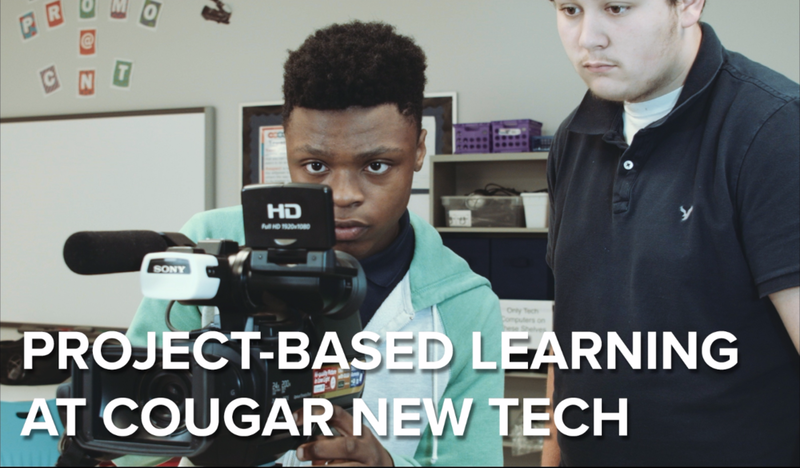 Learn more about project-based learning at Cougar New Tech. It takes multiple skill sets to accomplish most tasks. Listen as these teaching partners describe the benefits to co-teaching. Detrice Brown knows that the students at Scott’s Branch deserve deeper learning opportunities and that is why she stays. Hear from Detrice on why she stays. South Carolina Turning Point is made possible through a grant from The William and Flora Hewlett Foundation. There are nearly 200 schools in 28 states and Australia in the New Tech Network. Contact NTN directly to tour a school or learn more. The Attribution-NonCommercial-ShareAlike 3.0 Unported license means that people can use our materials, must give appropriate credit, and indicate if any changes have been made. They may not use the material for any commercial purpose. And they must re-share any adaptations under the same kind of license. Please join us at the Turning Point South Carolina channel to download all audio and video postcards.